We Encourage Playing With Your Food When It Comes To These Candies! Need some extra help with ABC’s and spelling? These milk chocolate ABC tiles are a fun way to get some practice in. Check out these Milk Chocolate Mini ABC’s here. Can you fix it? Probably not, but attempting to will be delicious! 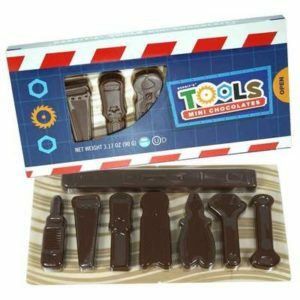 This Milk Chocolate Tool Kit has all of the basics inside for pretend play. See the kit here. Speaking of kits, get ready for the day in a sweet way with this beauty kit. Every kit has the essentials, from mirrors, to bows, to lipstick and everything in between. Get ready with this kit here. Are you ready to play with your food? We are! Check out all of these fun treats and more today at BlairCandy.com. Get Ready for Back to School with Hershey Candy Bars! Milk Chocolate Bar: A timeless candy bar. Just be sure you have an ice pack in the lunchbox to keep it from melting! Cookies & Cream Bar: This white chocolate candy bar is packed with cookies and is ready for snack time. We also recommend an ice cold milk box to go with this one. Hershey’s Kisses: Is your child one for sharing their lunch? A handful of Hershey’s Kisses can make a lot of friends at the lunch table! Kit Kat Bars: Crispy, crunchy, and very chocolatey, this bar is a lunch time staple. You’ll really make your child’s day if you throw a full sized Kit Kat bar in their lunchbox! Reese’s Cup: Just be sure your child’s classroom doesn’t have any peanut allergies! If it isn’t, a Reese’s Big Cup will be a welcomed addition to lunchtime. Stock up on all of your family’s favorite Hershey’s Bars with our wholesale program! 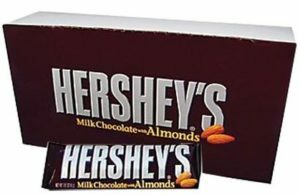 See how you can qualify for wholesale Hershey candy bars today at BlairCandy.com. Three Sugar Free Candies The Whole Family Will Love! Looking to get the family to eat a little better this year? While you can substitute fats and carbs for healthier alternatives, it’s sometime hard to find a swap for things that cure a sweet tooth. That’s where our sugar free candy selection comes in! We have a huge selection of sugar free treats, from chocolate to gummies, that are sugar free and make you feel a little better when indulging. – Go Lightly Fruit Chews: If fruity candies are your family’s favorites, these fruit chews are a perfect fit. Each bag has a selection of chewy candies with either orange, lemon lime, and strawberry flavors. – Sugar Free Gummy Fish: Fun to play with and eat, these gummy fish will be a hit! Choose from either a 20oz or a 5lb bag filled with colorful gummy fish. 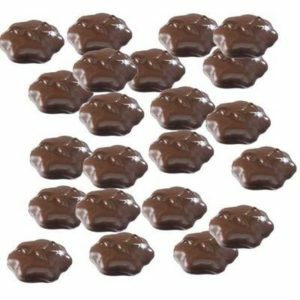 – Sugar Free Hershey Chocolates: We totally understand that sometimes all you want is chocolate. That’s why Hershey’s made a milk chocolate and special dark, sugar free chocolate for you to enjoy without guilt. This is only a small selection of our sugar free candy! Shop all sugar free candy today at BlairCandy.com. Do You Know About Our Wholesale Candy Program? – We’re not just online! We have a retail location in Pennsylvania! There you can stock up on your favorites and learn more about our wholesale program in person. – It isn’t all candy and snacks! 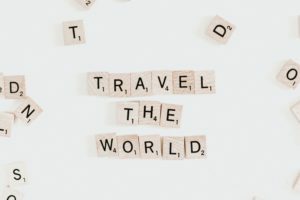 We also have a variety of party supplies, paper products, bar and restaurant supplies, and fundraising supplies for your business or organization. – Don’t see your favorite candy or snacks online? Give us a call! Our website only has a small portion of our inventory, so we may have what you’re looking for! – You won’t believe our wholesale prices! Unlike some companies who give you a coupon, we’re a true wholesale program that provides big savings for those looking to buy in bulk. Whether you’re a wholesale customer or someone looking to buy a big volume of supplies, we have you covered. – Our wholesale program lets you order online and it’s easy to register! Just be sure your product total is over $150 and register on our website! We’ll let you know if you qualify and work with you to begin your account. 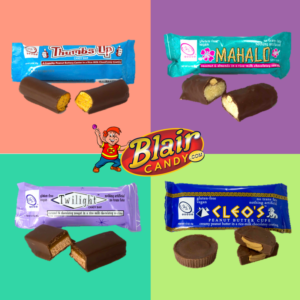 Learn more about our family owned and operated company today by visiting us at BlairCandy.com! New Arrivals for Summer and Fall! – Assorted Pez Dispensers: Feel like adding to your Pez collection? We have new dispensers with the Incredibles, Jurassic World, and sports. Don’t forget to stock up on refill candy! – Gummy Watermelon and Cherries: Vidal has come out with more gummy fruit candy that’s perfect for the season. Try a box of delicious watermelon slices or cherries with an ice cold drink for the ultimate relaxing treat. – Fini Licorice: Fini has a ton of colorful licorice candy that ranges from colorful fizzy sticks to delicious gummy bears. You should also try Kollisions, which are both sweet and sour. 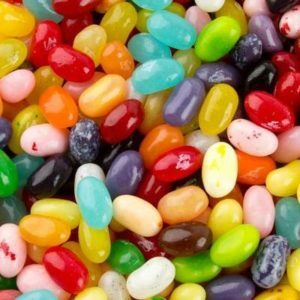 – Bulk Candy: In the mood for a lot of candy? Then we recommend one of these new bags of candy in bulk. 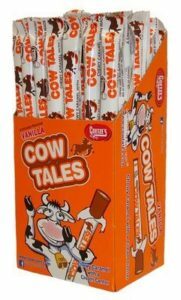 Try a box of Cow Tales, Nerds Gumballs, or Milk Chocolate Peanut Chews for a delicious snack that will last you all summer long! Be sure to check out all of our new arrivals at BlairCandy.com! We add new candy every week, so there is always something new to try. Can You Taste The Difference Between These Sugar Free Candies? 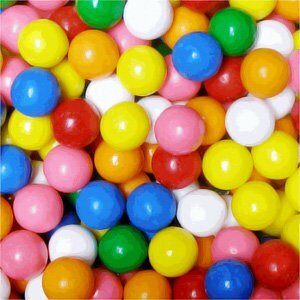 Dubble Bubble Gum: We guarantee you won’t be able to tell the difference between regular bubble gum and Dubble Bubble Gum! This gum is a classic that has that bubble gum taste, just without all of the sugar. Gummy Candies: From gummy fish to gummy bears, the sugar free versions taste remarkably close to their full sugar family members. We also have sugar free peach rings for another sugar free take on a fan favorite candy. Jolly Ranchers: What Jolly Rancher flavor is your favorite? Chances are your favorite tastes just as good as a sugar free version. Put these in your candy dish at work and we’re sure that your coworkers will love these as much as the others. What’s your favorite sugar free candy? Find it and other sugar free options today at BlairCandy.com. 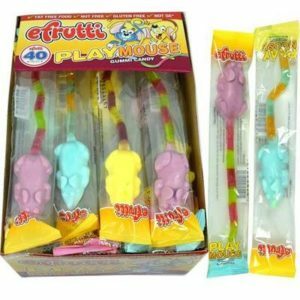 Gummy Candy: Fun to Play With and Eat! – Gummy Jewelry: Have you ever noticed how pretty some candies look? All you have to do is grab some string and candie and make your own necklaces! We recommend candy like gummy peach rings, apple rings, and gummy bears to make a custom look. – Educational Games: Gummies are perfect for counting exercises and simple math problems! Learning is only made more fun when there’s a sweet treat waiting as a reward. There’s also alphabet gummy candies, perfect for learning those ABC’s or simple spelling. – Free Play: One of the great things about gummies is that there are so many shapes and sizes to choose from! From dinosaurs to sea creatures, butterflies to burgers, there are so many kinds to choose from. Just give them a few different types and let their imaginations run wild! What gummy candy will you choose for summer fun? Shop all gummy candy today at BlairCandy.com! 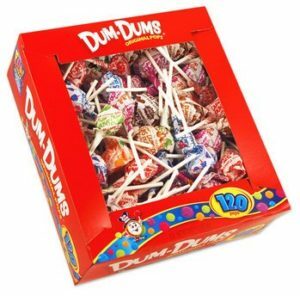 – Dum Dums: A classic. Each bag ranges from 120 to 1,800 lollipops, ensuring that you have plenty of lollipops for every class. Plus, students love trying to figure out the flavor of the Mystery Lollipops. – Chupa Chups: These lollipops will be a hit with your class! Chupa Chups have delicious flavors and cool, colorful wrappers. Plus, these come in a nice, reusable tin that you can use in the classroom later. – Tootsie Pops: Chocolate plus fruit flavors? Who doesn’t love a good Tootsie Pop! These are also a common lollipop used in candy crafts, so a box of lollipops in bulk can do double duty. Make learning more fun with some lollipops! See more options of lollipops in bulk today at BlairCandy.com.